For information on the Manage Distribution page for ebooks click here. If an ebook does not adhere to the guidelines below, it will be rejected from retail distribution channels. 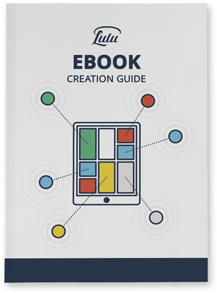 We recommend testing your EPUB on an EPUB reader device or software before publishing your project. The maximum recommended EPUB size is 10 MB. Our converter and some retailers can accept larger EPUB files, but due to ereader capacity restraints we strongly recommend smaller files sizes (less than 10 MB). A properly formatted .doc, .docx or .rtf file, which we can convert and validate through our EPUB converter. Images must be saved in RGB format. Cover art and title must match metadata title. Metadata is the equivalent to project data – Author, Title, Subtitle, Description, etc. Metadata is used to catalog and market digital content. Cover art cannot up-sell to a version of the product that is more complete. A photo of an existing print book cannot be used for your marketing image. Title must match everywhere: metadata, cover, and book's title page. Regardless of how they appear elsewhere, title and subtitle must be correctly capitalized in the metadata. The first letter of all words in the title and subtitle should be capitalized, except for the following words: a, an, and, for, from, of, or, the, to. The first and last word of the title and subtitle should always be capitalized. Acronyms must follow capitalization rules. EX: "The ABCs of College Algebra" will be rejected, "The Abcs of College Algebra" will be accepted. Subtitles are particularly important for differentiating multiple books in a series that share the same title. EX: "A Tale of Two Cities", not "Tale of Two Cities, A"
Titles and subtitles cannot include references to price such as Free, Complimentary, Reduced Price, or Low Price. Must have a valid description; specifically, do not use the title as the description. Must consist of at least 50 characters, excluding blank spaces. Must be unique, not a generic description used repeatedly for multiple ebook projects. Cannot contain any advertisements or links. Cannot include references to price such as Free, Complimentary, Reduced Price, or Low Price. No mention of included materials that don’t exist in the digital product. Cannot up-sell to a version of the product that is more complete. Improperly formatted HTML tags in the description can cause a garbled description in retail channels. Regardless of how they appear on the cover, author names must be correctly spelled and capitalized in metadata. Do not enter author names in all capital letters. Author names must also be correctly capitalized in the metadata. Do not enter author names in all capitals. All main authors who are equally credited on the cover art and ebook must be entered individually. If a book has more than one author, do not omit an author or combine both authors in one field. This is called a “compound artist.” Compound artists prevent retail channels from identifying individual authors. Customers then can’t find the book when searching for an individual author. Retail Channels reserve the right to select the genre for an ebook; the most appropriate genre will be chosen to aid the customer in finding the ebook. Ensure the best genre is chosen, by selecting the correct category in the ebook Wizard.